Is the power button on your Krups Espresso Machine not turning on any more? Do you have to press it really hard to get it to work? You may need a new power button. Thankfully, Krups offers this part for replacement. 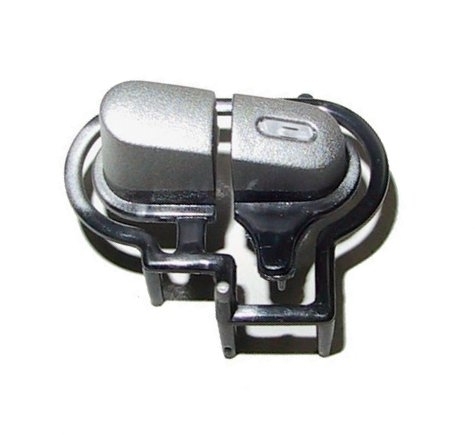 This plastic button (silver / grey color) is an original Krups part, and will restore proper function to the control panel on your espresso machine so that it can respond to reasonable finger pressure again (no more pressing with all your strength). This Krups MS-0675088 button is original equipment and provides a flawless fit. Use this part to repair your Krups espresso maker for optimum performance and brewing. XP7000, XP7200, XP7225, XP722570F/J4, XP722570G/J4, XP7230, XP7260, XP726070F/J4, XP726070G/J4.